Forget Christmas, the Steam sale is the real event of the holiday season, and PayPal UK has just revealed its start date. So get ready to snap up some fantastic deals on December 22nd, where a big chunk of Steam’s catalogue will be heavily discounted. The tweet was revealed in the embedded tweet below, which has to be shared to reveal the date. Steam’s sales have changed a lot over the years. Previously the biggest discounts could be found in the store’s Daily and Flash sales, where games and bundles would be heavily discounted for just a few hours at a time. 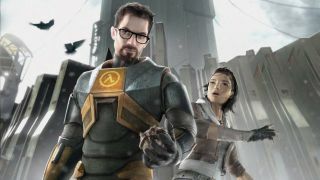 However last year Valve ditched the process, meaning that once a game is discounted for the general sale, you’ll be able to buy it without worrying about a bigger discount coming at a later date. It’s unlikely that Daily and Flash deals will return this year, especially since the change netted Valve more money than ever before in its Steam Summer Sale.